On a recent trip to Killington, Vermont, I had the good fortune to meet Brent Kelly, owner of Innovative Coach from Harrisburg, Pennsylvania. We were both staying at the same hotel in Rutland, Vermont, with ski clubs. While we had a bit of free time, Brent agreed to sit down with me for EightWheels Across America. 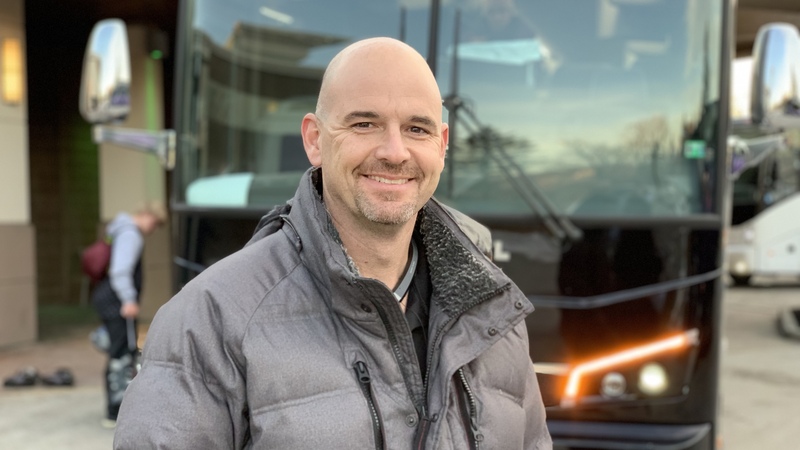 Also in this episode is this week’s segment of “Meet the Driver,” with Dan Yoder of Perkiomen Tours in Pennsburg, Pennsylvania.